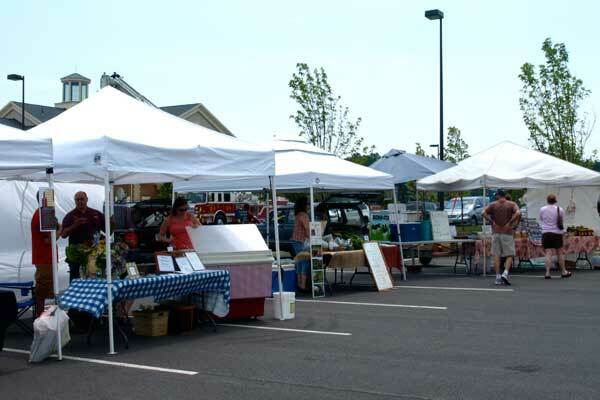 North Atherton Market is open Saturday! - There will be a collection of non-perishable foods by the letter carriers of the State College, Bellefonte and surrounding post offices for distribution to five area food banks and pantries. Please leave donations by your mailbox Saturday, May 13. This is the 25th year for this national food drive. - State College Friends School students, parents, and alumni will transform the spacious field next to their facility into a family-friendly playground known as the Fun Fair, with old-fashioned games, crafts, live music, local foods, pony rides, bake sale, visiting animals from family farms, and more. It’s a happy day of fun for children, parents, grandparents, and friends. The event will be held at 1900 University Dr, State College, Pa.
- Further afield, Harrisburg’s historic Broad Street Market is fantastic and well worth a visit if you are down in that area tomorrow. - All Mother’s Day weekend, Mt. Nittany Winery will be offering complimentary cupcakes and wine tasting. Plus, all moms receive a free logo wine glass. They have over 25 award-winning wines from which to chose, from dry to sweet. Bring a snack or picnic and enjoy the ambience of their pond-side picnic tables and covered decks. They will also be offering some local food snacks. Hours of operation are 10:00 a.m. to 5:00 p.m. Saturday and noon to 5:00 p.m. Sunday.